General Kurt Von Hammerstein served as the Commander-in-Chief of the German Defence Force in 1930. Having fought in World War I, he was disapproving of the Hitler regime and a vocal opponent of the Nazi party. Towards the later part of his career, he was involved in several public attempts to overthrow the Hitler regime, none of which succeeded. Many decades on, General von Hammerstein’s remains a familiar name. Not so for his contributions to the military affairs at that time but rather to his ingenious classification of military officers. I divide my officers into four groups. There are clever, diligent, stupid, and lazy officers. Usually two characteristics are combined. Some are clever and diligent — their place is the General Staff. The next lot are stupid and lazy — they make up 90 percent of every army and are suited to routine duties. The concept is nifty and the idea is elegant. In the army you have missions to complete. It could be, say overcoming an enemy position and you will need soldiers at your disposal to complete the task. Von Hammerstein’s suggestion will see you using the stupid and lazy soldiers as foot soldiers. They will take orders and provide the pure brute force required for such an attack. Their laziness will see them following orders to a T and doing only what is required (which is exactly what you want). This is not the case with stupid and diligent soldiers. Because of their diligence, this category of soldiers will put in effort over and beyond what they have been ordered to do. And because of their ‘stupidity’, they will mess up. According to the General, they must not be entrusted with any responsibility. In local parlance, they are your sabo kings. The clever and diligent soliders will rise in ranks. Their intelligence and conscientiousness will make them good soldiers who can be counted on. Yet, Von Hammerstein recognised that these set of soldiers are not the ones to be assigned the highest leadership duties. Rather it is the lazy soldiers who ought to take the lead. They are the ones who, out of frustration, will endeavor to find better ways of doing things. They refuse to accept status quo, but will challenge themselves and the system to be cheaper, better and faster. Their intelligence will see them making breakthroughs. Using this analogy, we can also draw a parallel with retail investors. The stupid and lazy ones (pardon the term stupid – the General’s choice of words, not mine. Do not leave hate mails) will do pretty ok. In fact, many will be too lazy to be investors. Suppose someone who is stupid and lazy try to invest. 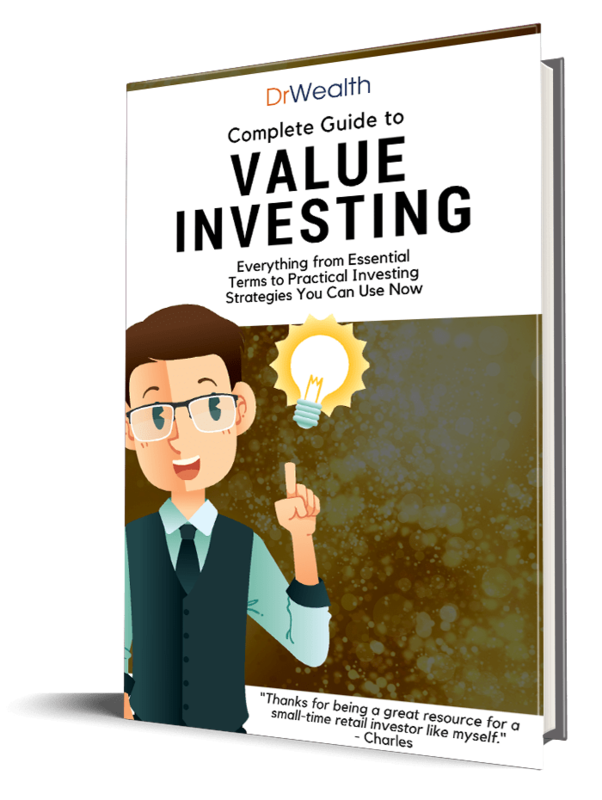 After some time, they will realise that they are unable to generate positive results consistently and that investing and growing wealth is not as simple as it seems. Because of their laziness, they will give up and fall by the wayside. Their brief flutter with investing has just ended. They may not be making money from the markets, but they will definitely fare better than their more diligent cousins. Stupid and diligent investors are those who will cause the most mischief, both to themselves and to the market. These are the group will fall prey to scams after scams. These are the group will follow the latest stock tip without proper consideration. They are the ones who, because of their diligence, will try bouncing back after every setback to repeat the same mistake over and over again. Like what the general have said, these investors should not be entrusted with any responsibility. Their money will be safest locked up and keys melted down. The clever and diligent investors like their soldiering counterparts will do respectably well. Their intelligence will see them performing better than their peers. But once again, it is the clever and lazy folks who will end up being the star investors. Here are some reasons why. The clever investor will understand that it is not about timing the market, but time in the market that matters. Their laziness will see that they do not follow the market too closely and in the process be overwhelmed by noise and compelled to buy or sell. The clever investor will understand that markets move up and down. The laziness in them will allow them to ignore most movements except the biggest ones. This will allow them to stay invested. The clever investor will understand that it is not about the performance of a stock, but rather the performance of the portfolio as a whole. The laziness in them will see that they are not too bothered by how individual stocks in their portfolio performs. The clever investor will understand that portfolio allocation is a major determining factor of your returns. It is the free lunch of the investing world. The lazy investor will grab this free lunch immediately. The clever investor will understand the need to pick your battles. As a retail investor, most of the time you are up against professionals and institutions. Given a choice, you would want to pick a game where they are not competing in, rather than sharpening your knives to go head on. Diligent investors will spoil for a fight. Lazy ones will find the path of least resistance forward. And finally, the clever investor will understand the Pareto principle, that 20% of your efforts will give you 80% of your results. Nothing suits the lazy investor better than putting in 20% effort and getting 80% returns. In the investing world, everyone is born stupid and diligent. As newbie investors, we all knew very little and we all wanted to do a lot. As investors journeyed on, some grew smarter, some grew lazier. And of course some grew to become both smart and lazy. Are you a lazy investor? What are your secrets to lazy investing? Drop us an email to tell us more! Budgeting is Hard for Singaporeans. Why? I believe I can see the logic in being lazy and draw a parallel to a behavior of mine. The distance from my study room to the kitchen is approximately 10 metres. A return trip would thus be 20 metres, a number deemed to require too much of an effort in order to stuff my face with the awesome junk food I keep in my kitchen drawer, regardless of how much I felt like snacking on something. I believe this is how I managed to stay slim! Oops, perhaps not quite the response you were expecting? Haha!